Jesse is USA Triathlon certified and coach of Octane Athletics Training Systems, an endurance coaching firm based in Texas. Octane centers everything they do on three principles...TEAMWORK | OPTIMISM | POSITIVITY. Jesse is passionate about helping athletes reach their goals and live healthy lifestyles through endurance sports. His training programs offer the structure and guidance for success. Jesse lives in Carrollton, TX with his wife Stacy, daughter's Halle and Lucy. 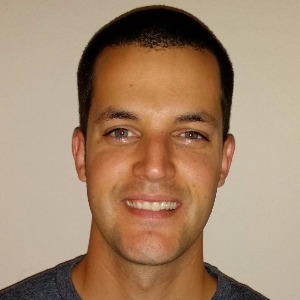 Jesse is a USA Triathlon Certified Coach and has been coaching endurance sports for several years. Jesse began competing in sports at a very young age starting with baseball, which continued through high school. His passion for running began in high school while competing in track and cross-country. Starting college and a career, his passion for endurance athletics took a back seat until 2010 when he was asked if he wanted to ride in the famous Hotter than Hell bike rally. At the time he didn’t even own a road bike, but the week of the rally he purchased a bike and started and finished the 100K (62 mile) ride. A couple of months later he was offered an entry into the Dallas Running Club Half Marathon. He hadn’t been running too much but was still on a high after finishing the bike rally so he jumped right in in and hasn’t looked back since. He was hooked. Jesse signed up for the St. Patrick’s Day sprint triathlon in Keller, TX that year. Even though it was the hardest and most humbling athletic experience of his life, it was also the greatest. Since then, Jesse has competed and finished everything from sprint triathlon races to IRONMAN 70.3 Austin in 2014. Jesse is currently training for his first full IRONMAN in Florida in 2016. Success. Coach Jesse Carrington has been notified of your message.